Geneva - Saudi Arabia has warned the United States that a proposed U.S. law that could hold the kingdom responsible for any role in the Sept 11, 2001, attacks would erode global investor confidence in America, its foreign minister said on Monday. The minister, Adel al-Jubeir, speaking to reporters in Geneva after talks with U.S. Secretary of State John Kerry, which mainly focused on Syria, denied that Saudi Arabia had “threatened” to withdraw investment from its close ally. The New York Times reported last month that the Riyadh government had threatened to sell up to $750 billion worth of American assets should the U.S. Congress pass a bill that would take away immunity from foreign governments in cases arising from a “terrorist attack that kills an American on American soil”. “We say a law like this would cause an erosion of investor confidence. 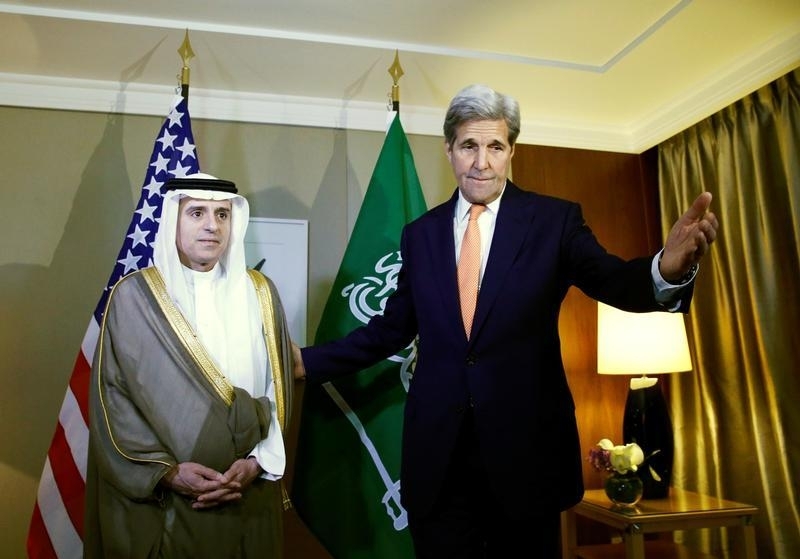 But then to kind of say, ‘My God the Saudis are threatening us’ - ridiculous,” Jubeir said. The New York Times, citing administration officials and congressional aides, said that the Obama administration had lobbied Congress to block passage of the bill, which passed the Senate Judiciary Committee earlier this year. “In fact what they are doing is stripping the principle of sovereign immunities which would turn the world for international law into the law of the jungle,” Jubeir said. “That’s why the administration is opposed to it, and that’s why every country in the world is opposed to it. The Saudis stated that "we don't use energy policy for political purposes". Has anybody forgotten the oil embargo, which those momzarim engaged in against the USA in 1973-1974? Remember the long lines at gas stations, and the chaos that they caused us? They need us, today; we don't need them. If anyone in the Saudi government had anything to do with 9/11/01, either directly or indirectly, then they should be held accountable. Our government has danced around this issue for nearly fifteen years. Let the chips fall where they may; justice is needed for the families of the victims of 9/11/01. This law is not wise. If a lunatic from a country kills an American, the whole country is responsible?